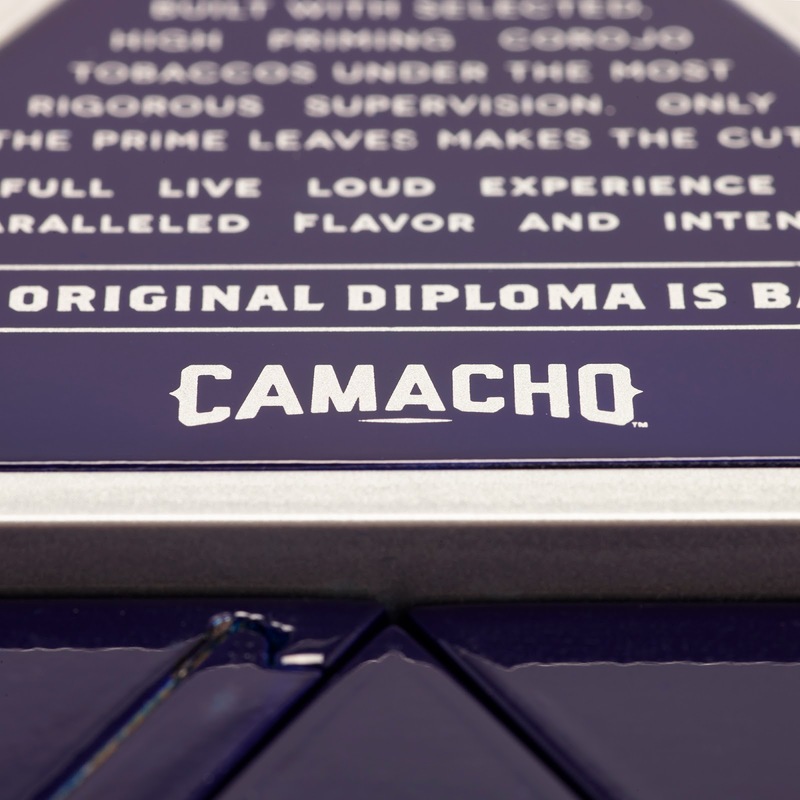 If you know your cigars, you’ll know that Camacho is one of the most exciting brands in the industry. 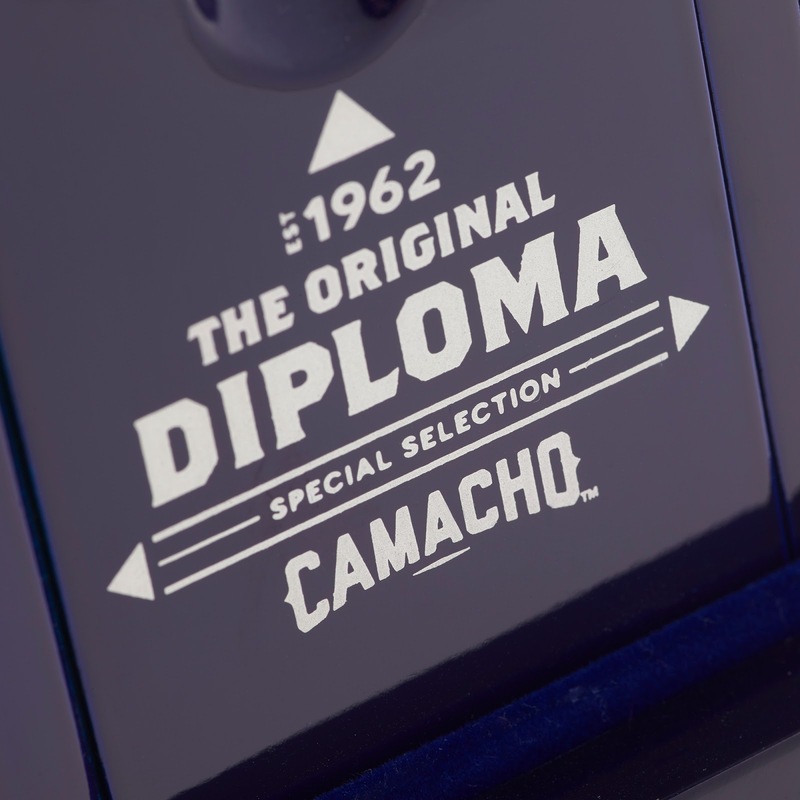 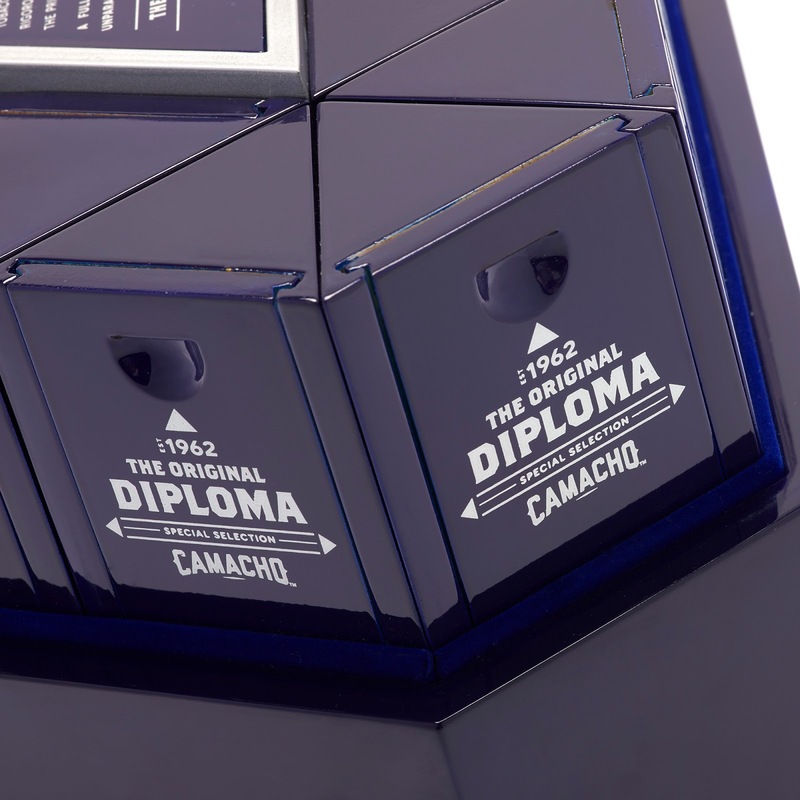 At the end of last year, the Honduran company announced that it would be rereleasing a celebrated premium cigar originally developed in the early 1960s: the Camacho Diploma. 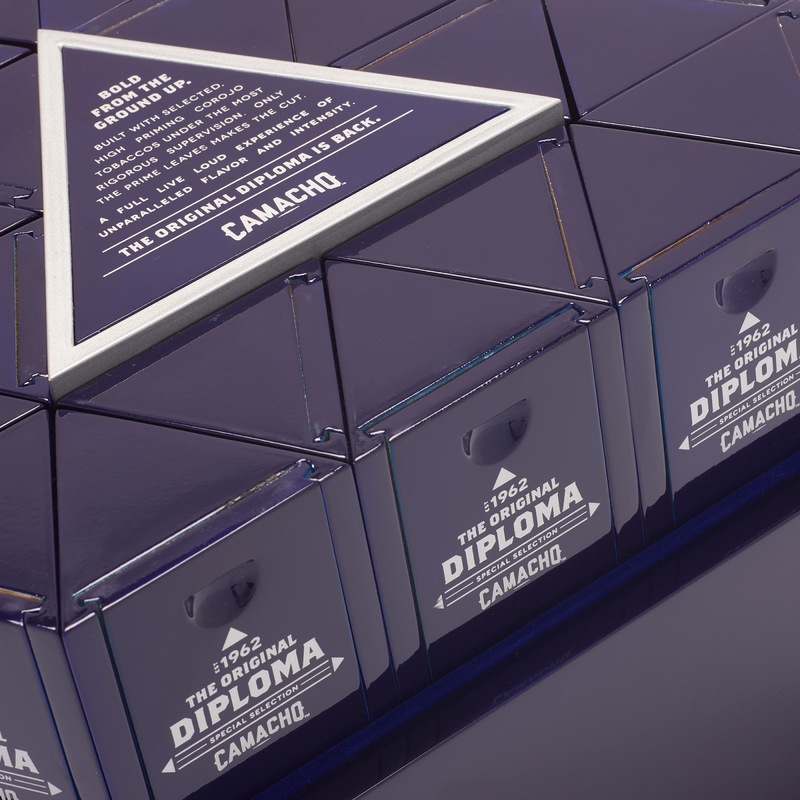 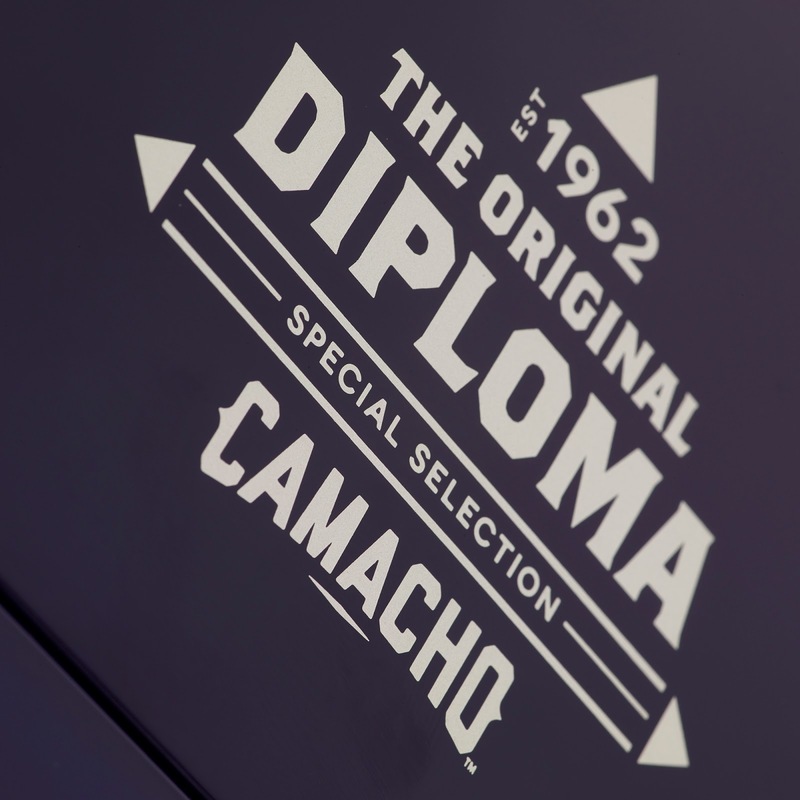 This refined cigar – now labelled as Camacho Diploma Special Selection – has been crafted in the same manner as its predecessor, using 100% Honduran Corojo, but housed in entirely new packaging, courtesy of MW Luxury. 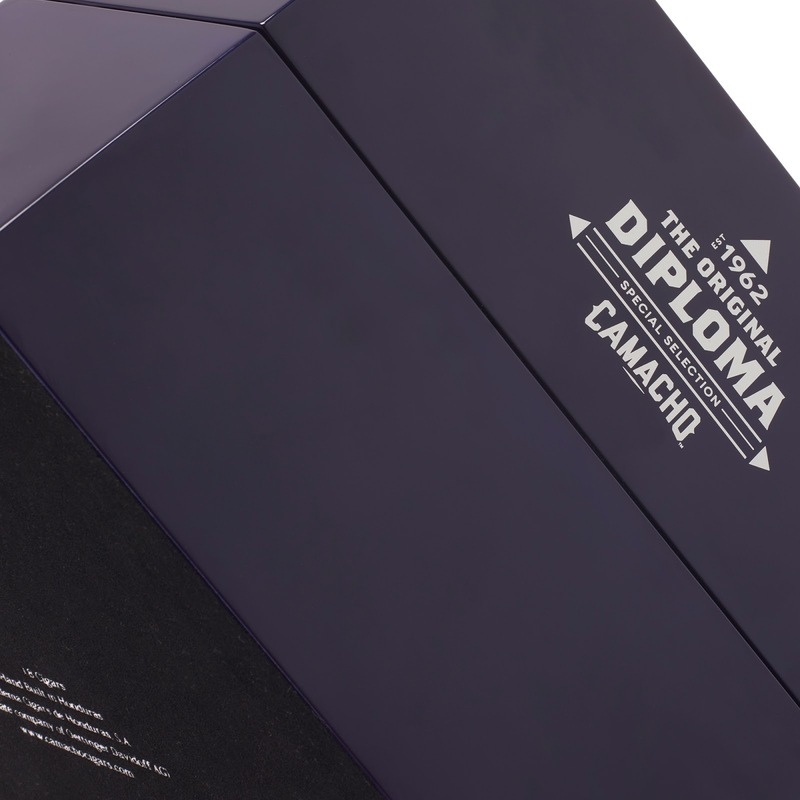 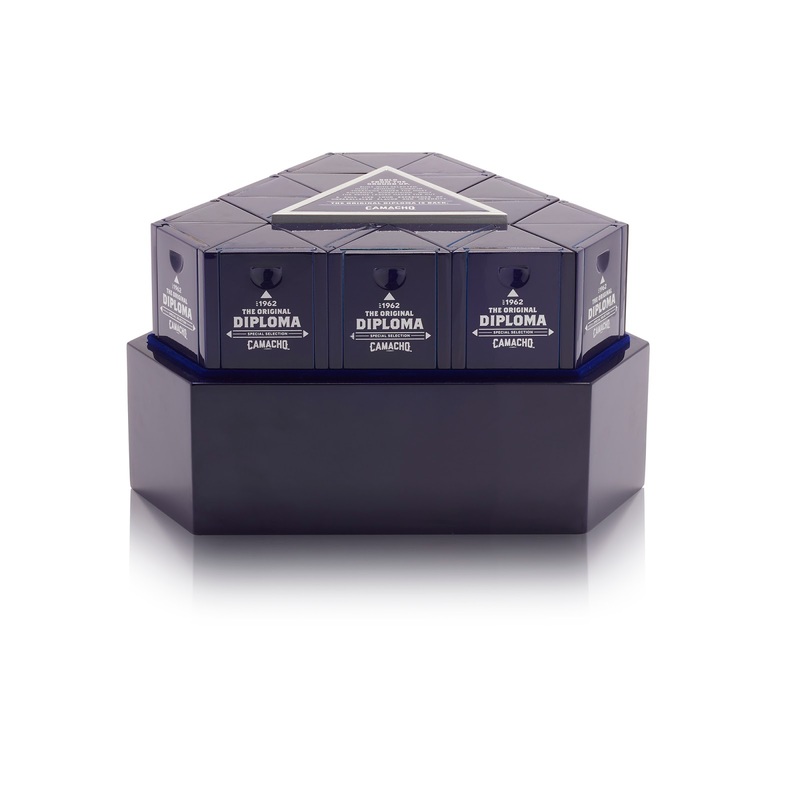 The innovative pack for this exciting product is comprised of three separate components: a wrap rigid box, a lacquered MDF presentation box, and individual lacqured cigar boxes. 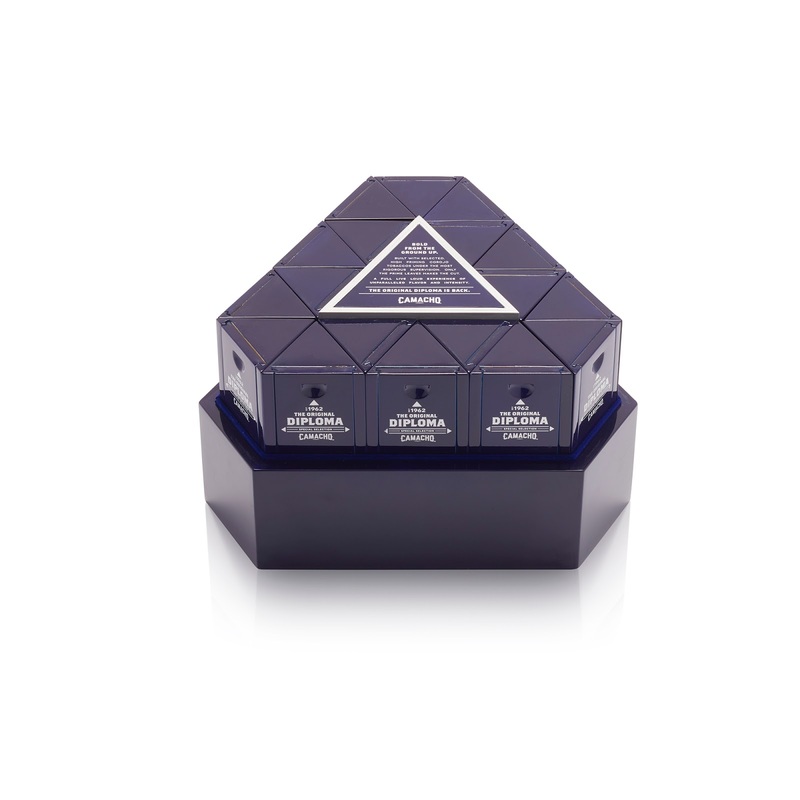 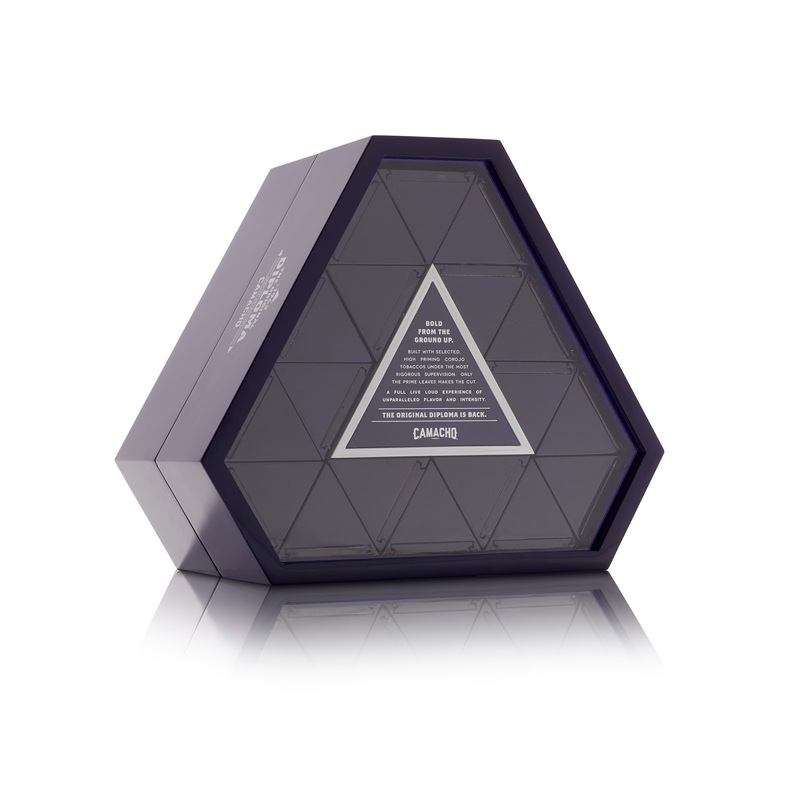 The main container is hexagonal, shaped like a triangle with blunt ends. 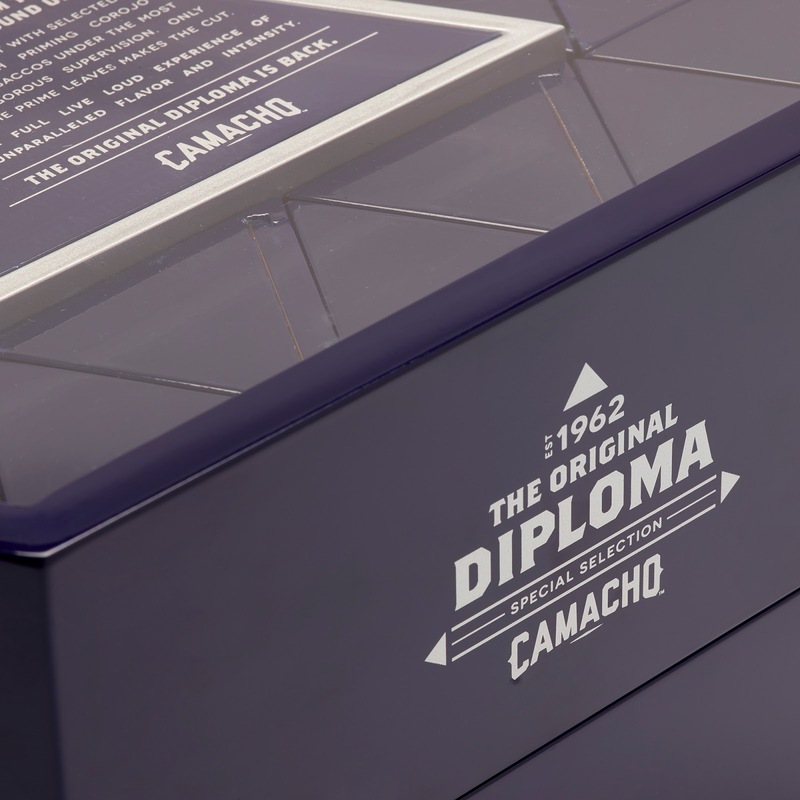 Coloured in a deep glossy indigo and featuring white Camacho branding, this impressive box offers a truly innovative way to store cigars. 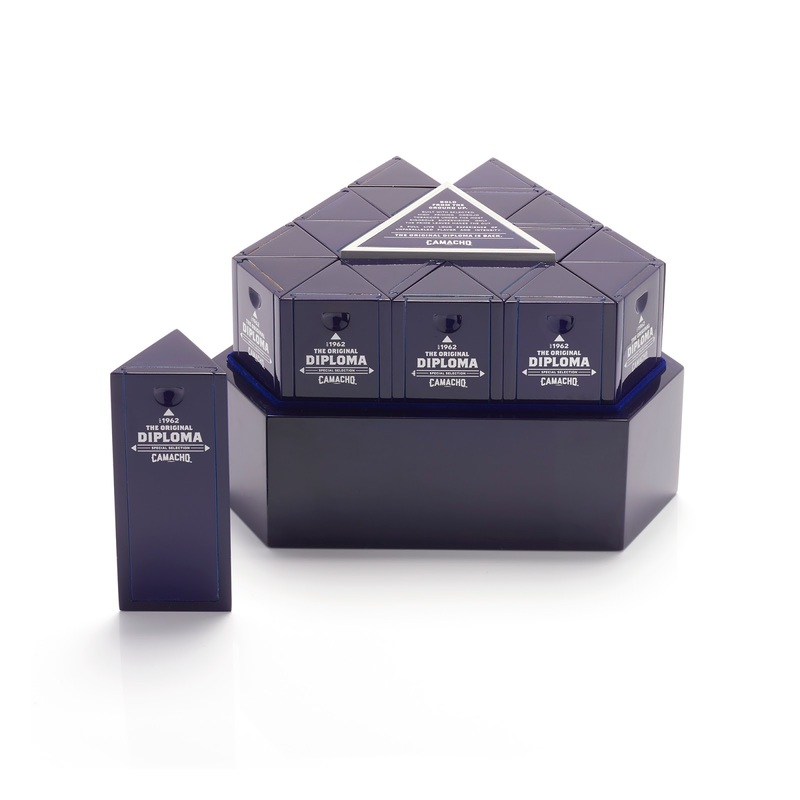 Lift off the lid, which features a clear acrylic insert so the contents can be seen, and you can access the 18 individually packaged cigars. 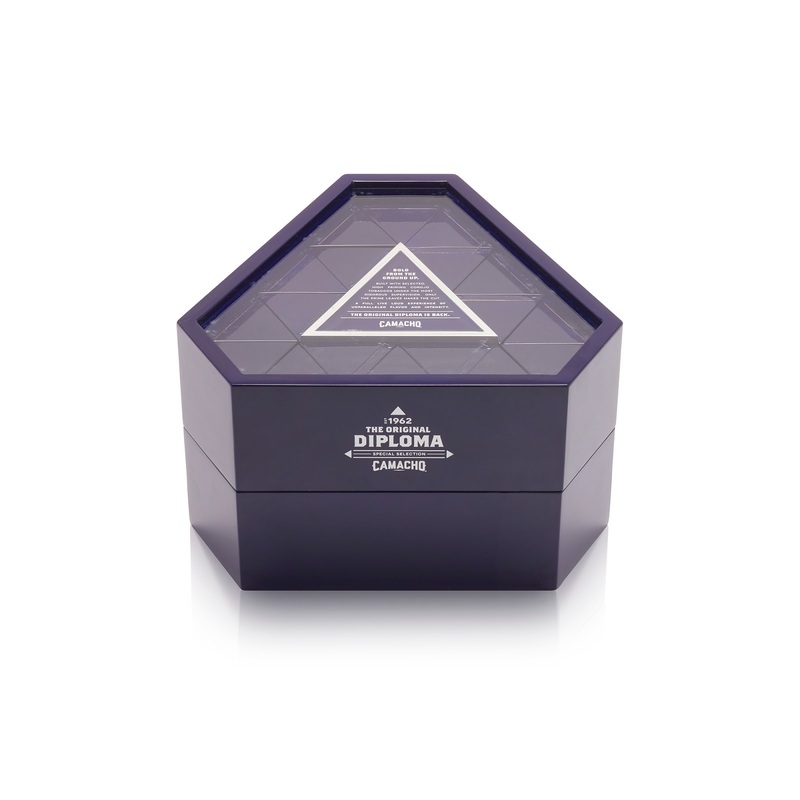 The smaller cigar containers are triangular in shape, meaning they tessellate perfectly, sitting snugly within the larger box. 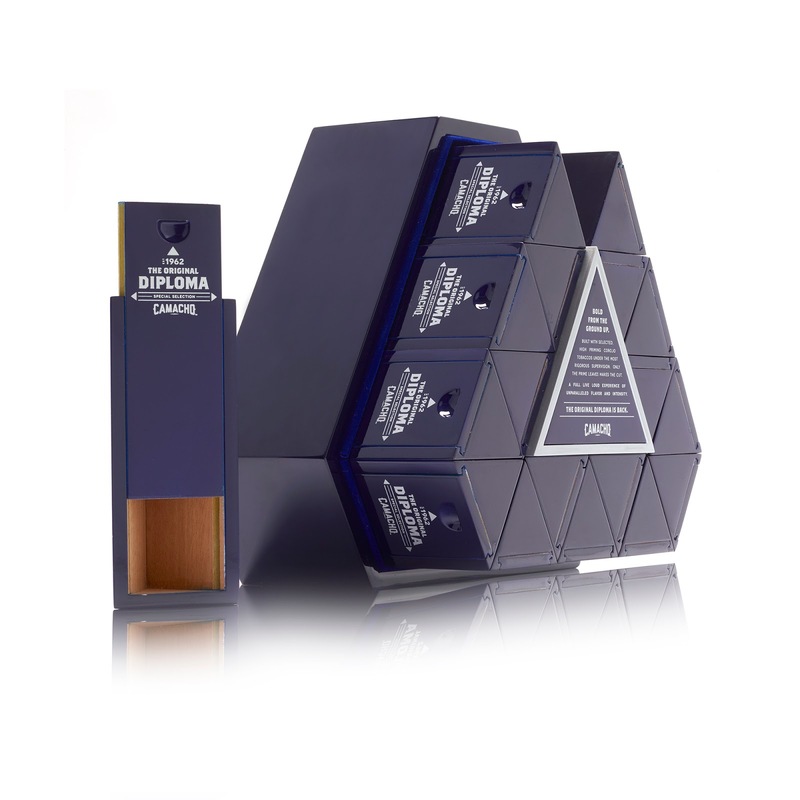 Crafted from okoume wood, these colour-matched boxes are little works of art in their own right – with a light push, the rigid wooden lid slides off revealing the cigar resting in its wooden compartment. 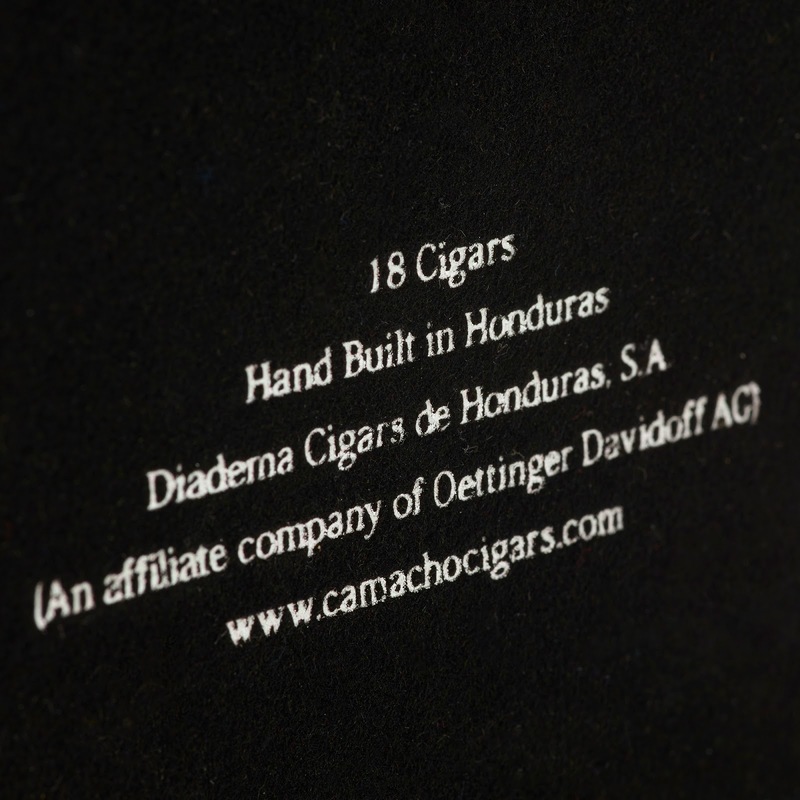 It provides a special new dimension to the cigar-smoking ritual, adding lasting value to what is already a fantastic product. 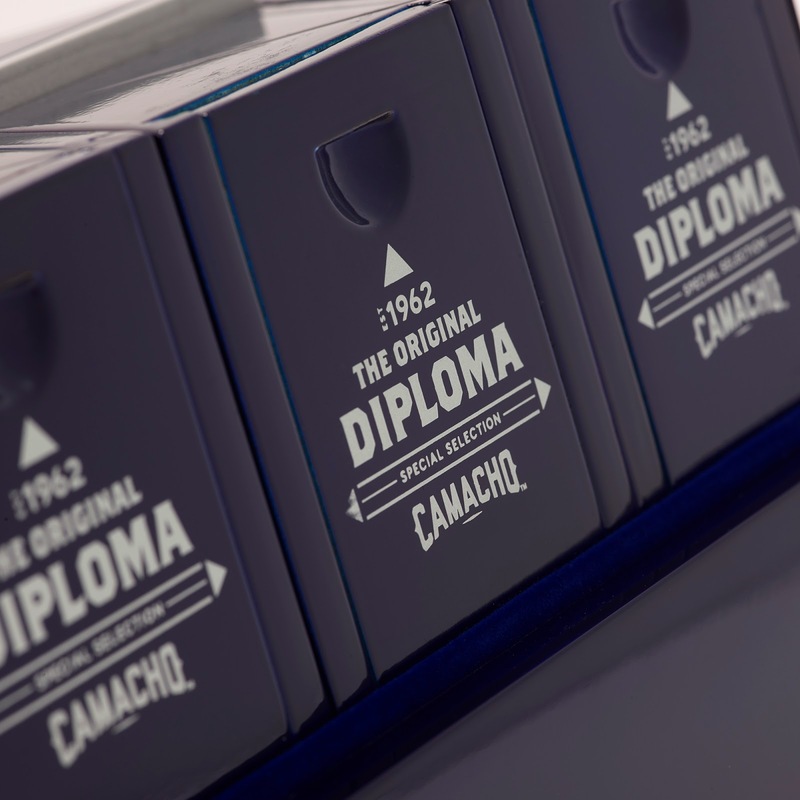 Only 500 of these spectacular limited edition packs have been manufactured to date – so if you want your own, you’ll have to move fast!